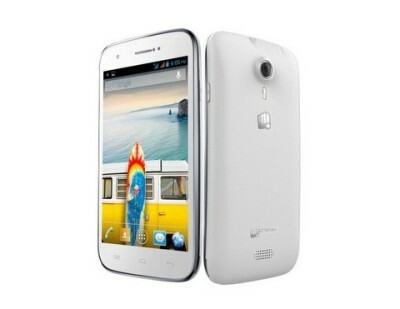 Micromax A92 Canvas lite 1GHZ DUAL CORE android smartphone launched for RS 8499 . Micromax has Quitely launched Micromax CANVAS LITE A92 when all are waiting for Micromax Canvas 4 A120 to launch . Micromax has cleared that Micromax canvas 4 will be launched on 8th of JULY . Well to cover that gap they had launched the A92 Canvas Lite which is successor to Micromax A92 . Gionee GPAD G1 ( unboxing & review )seems to better than the Micromax Canvas Lite . The device is powered by 1GHZ Dual core processor paired with 512mb of RAM . The smartphone has access to two SIM CARD slots ( Dual SIM 3G + 2G ) . To make the hardware of the device run there is Android 4.1 jelly bean OS . The device has 5inch capacitive touchscreen display , having resolution of 480x800pixels . At the rear of the device there is 5MP autofocus camera & VGA camera at front . The company has included some features at this price to make the device approachable & affordable . 4GB Rom ( internal memory ) for installing apps & storing data . If it is not enough , the user can expand the memory upto 32Gb via micro sd card . The Canvas Lite A92 has 3g , 2G , wifi , Bluetooth , GPS , FM radio with recording , 3.5mmaudio jack & micro USB connectivity options . The device gets alive with 2000mAH battery . The device has G-sensor , Light sensor & proximity sensor to make the user experience even better . Micromax A92 Canvas Lite Price is RS 8499 ( buy it via flipkart ) .